When was the last time you stopped long enough to remind yourself that you have a very real adversary? Whether you've taken it seriously or not, it's true. And it's why this book is powerful. As you explore the Word and what's behind Satan's name, you'll expose him; though he wants you to stay blinded. Because he knows that when you're kept ignorant, you won't be vigilant. And in that movement of revelation . . . when you see Satan as more real than you gave him credit for . . . you'll become more aware of what terrifies him: the power and authority you have in Jesus. 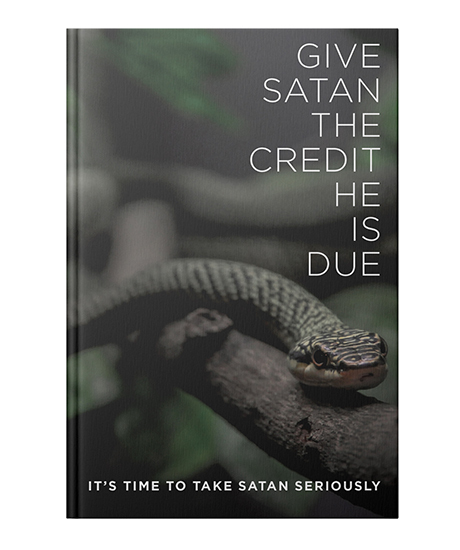 Paperback, 57 pages, 4.75" X 7"
Successfully added Give Satan the Credit He Is Due to your cart.